The Discover it Cash Back card offers a low minimum APR and a generous cash back program for motivated cardholders who don’t mind tracking rotating bonuses; however, the card’s maximum APR is too high for carrying a balance and its promotional period is relatively short. Nearly identical to the Chase Freedom card, the Discover it Cash Back card offers a substantial amount of value for cardholders who don’t mind keeping track of rotating bonus categories; but what really sets this card apart from its competitors is its consumer-friendly terms and ultra generous sign-up bonus, which matches the amount of cash back you earn at the end of the card member’s first year. With the card’s long introductory APR on both balance transfers and new purchases and its low regular APR, cardholders are bound to save on interest with the Discover it Cash Back card. If you don’t mind keeping track of rotating quarterly bonus categories – the Discover it Cash Back is a top choice for cash back enthusiasts. You’ll have to activate the categories each quarter, but you can earn a generous 5 percent cash back on up to $1,500 in purchases per quarter. For the last couple years, Discover has announced its entire cash back calendar in advance, making it easier for cardholders to plan their year. By staying on top of activating rotating categories and shifting your spending to take advantage of the full bonus limit each quarter, we estimate Discover it Cash Back cardholders can bring in an average of 1.58 percent cash back. Unfortunately, the $1,500 quarterly bonus category purchases makes it hard to truly maximize rewards with this card. Additionally, if you have an authorized user on your account, the purchase limit applies to the total purchases among cards on your account (they won’t get an individual $1,500 quarterly limit). Tip: If enrolling in and keeping track of rotating bonus categories is too much for your schedule, the Discover it® chrome is a good alternative. It offers 2 percent cash back on restaurant and gas station purchases and 1 percent cash back on general purchases. Rather than a flat cash bonus, the Discover it Cash Back includes a unique introductory offer for new cardholders – it matches the cash back you earn at the end of the first year. This is an incredibly lucrative offer, even for a more moderate spender. If you max out the quarterly purchase limit on 5 percent bonus category purchases, you can bring in $600 in the first year on bonus purchases alone. Plus, there is no limit to the 1 percent cash back that you earn on general purchases. Even if you don’t max out the bonus category limit each quarter, we estimate the average spender will bring home $502 in the first year with the Discover it Cash Back card. No annual fee cash back cards that offer a more traditional bonus can’t bring home quite as much, even with varying rewards rates. Once you’ve racked up rewards with the Discover it Cash Back, you have several different redemption options. There is no minimum amount required to redeem and you can opt for a statement credit, direct deposit into your bank account, a donation to charity or for payment at Amazon.com. If you meet a $20 threshold, you also have the ability to redeem for gift cards. In addition to a generous rewards rate, the Discover it Cash Back comes with a lengthy balance transfer offer. Cardholders can enjoy a 0 percent intro APR on balance transfers for the first 14 months (14.24 percent to 25.24 percent variable APR thereafter). If you are hoping to pay off some debt without sacrificing a great rewards program, the Discover it Cash Back can be a great choice for you. Just keep in mind you’ll have to pay a 3 percent balance transfer fee. While this is one of the longer balance transfer periods available, cardholders who are looking for the best balance transfer offer might be better off opting for the Discover it® Balance Transfer instead. It boasts the same cash back rate as the Discover it Cash Back, but it offers a lengthier 18-month 0 percent intro APR (14.24 percent to 25.24 percent variable thereafter). On the down side, it has a shorter introductory period for new purchases – 0 percent APR for the first six months (14.24 percent to 25.24 percent variable thereafter). While the Discover it Balance Transfer offers a shorter intro period on new purchases than on balance transfers, the Discover it Cash Back offers the same 14 months interest-free (14.24 percent to 25.24 percent variable APR thereafter) on purchases as it does on transferred balances. If you have a balance to pay down – but also want to be able to finance a large purchase over time without racking up interest – the Discover it Cash Back offer balances the two prospects. Just be sure not to charge more than you can pay off in the introductory period – or you’ll end up paying interest that will cut into your rewards earning. Unfortunately, the Discover it Cash Back doesn’t come with many additional perks – like insurances or price protection. However, it does come with a few benefits that encourage responsible credit card use. Free FICO credit score – To help you keep track of your credit, you can view your credit score on your Discover account. Account freezes – In case your card is lost or stolen, Discover allows cardholders to easily freeze their accounts, preventing new purchases or balance transfers from being charged. No fee for first late payment – The first time you miss a payment date, you won’t be charged a fee. However, you’ll be charged up to $37 for any following late payments. No foreign transaction fee – When you travel abroad, you won’t be charged a foreign transaction fee on your purchases. Unfortunately, Discover credit cards are not accepted as widely as Visa or Mastercard credit cards. While more merchants in the U.S. are accepting cards from the issuer, you might have some trouble using the card abroad – especially in countries like Spain and France. Before you travel, you can check out Discover’s interactive acceptance map to see whether the country has low, moderate or high acceptance. See Related: How different are Visa, AmEx, MasterCard and Discover? The Discover it Cash Back is designed for users with good to excellent credit (above 670), so you’ll want to ensure you meet those requirements before you apply. Discover is also relatively strict about the number of cards you can have open – so if you already have two cards open with the issuer, it is likely you won’t be approved. If you already have a Discover card, you also must have had an open account for at least one year before applying for a new card. One of the best perks that comes with a Discover card is highly-rated customer service. In fact, Discover ranked first among 11 major issuers in J.D. Power’s 2018 customer satisfaction survey. The issuer’s app also ranks well, rating 4.6 out of 5 in the Google Play Store and 4.8 out of 5 in the Apple App Store. If you have a quick question, Discover offers an online chat feature that offers responses in just a few minutes. How does the Discover it Cash Back compare to other cards? 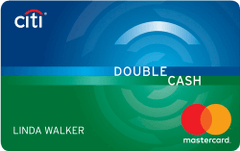 If you aren’t a fan of keeping track of bonus categories, the Citi Double Cash card offers one of the best flat rates of cash back available among rewards cards – for no annual fee. The big drawback is that the Double Cash Card doesn’t come with a sign-up bonus. Also – while it includes a generous intro APR on balance transfers – it doesn’t include any intro APR for new purchases. That being said, cardholders who pay their bill on time can probably earn more in cash back with the Citi Double Cash Card. Earning up to 2 percent back on every purchase (1 percent when you buy, 1 percent when you pay on time) can easily outpace earning bonus cash back in certain categories of spending – especially if the rotating category doesn’t align with your spending habits in any quarter. While the bonus categories on the Blue Cash Everyday card might not seem as valuable as the Discover it Cash Back, they can potentially be more rewarding for some spenders. The Blue Cash Everyday offers 3 percent cash back at U.S. supermarkets (on up to $6,000 in purchases per year, then 1 percent), 2 percent cash back at U.S. gas stations and select U.S. department stores and 1 percent cash back on general purchases. Though not quite as high as the Discover card’s 5 percent rotating category, the 3 percent rate on U.S. supermarket purchases is particularly lucrative – especially for families. The annual cap comes out to around $500 per month, and users who meet this cap can bring in around $180 in cash back each year on U.S. supermarket purchases alone. When you add in the unlimited 2 percent cash back you can earn on U.S. gas station purchases, this card is a great choice for families who spend a large portion of their budget on gas and groceries. Similar to the Discover it Cash Back, the Chase Freedom offers 5 percent cash back in rotating bonus categories that you must activate each quarter (up to $1,500 in purchases per quarter) and 1 percent cash back on everything else. At first glance, it might seem like the rewards rates on these two cards are identical. However, the Chase Freedom has one unique feature that sets it apart for some cardholders. The card allows you to transfer points to another Chase Ultimate Rewards card and, in some cases, increase their value. Since cards like the Chase Sapphire Preferred Card include a points boost when redeemed for travel through Ultimate Rewards, combining the Chase Freedom with another Ultimate Rewards card makes it more valuable than the Discover it Cash Back. Why get the Discover it Cash Back? You don’t mind enrolling in rotating bonus categories to earn a high rate of cash back. You plan to spend a significant amount in the first year and can take advantage of the unique sign-up bonus. Quality customer service is a priority for you. Use it for all your purchases in the first year to take advantage of the introductory offer. Don’t forget to register for rotating bonus categories each quarter. Weigh your spending each quarter toward the bonus category to maximize cash back. Consider pairing the Discover it Cash back with a card that earns a high flat cash back rate for non-bonus category purchases. Is the Discover it Cash Back worth it? Despite the extra effort required, the Discover it Cash Back can be a lucrative no annual fee cash back card for many users. As long as you are willing to enroll each quarter and keep an eye on bonus categories and the spend cap, you can earn a significant amount of rewards with this card.